and many more to go, too bad it wasn't an actual Christmas gift. Instead it was the birthday gift I mentioned here. Her birthday is today so it is completed just in time. 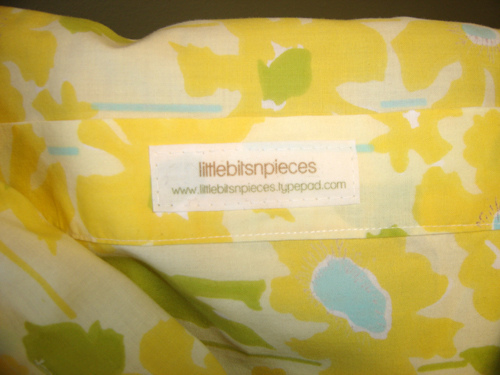 A little embroidery goes along way in personalizing this gift. 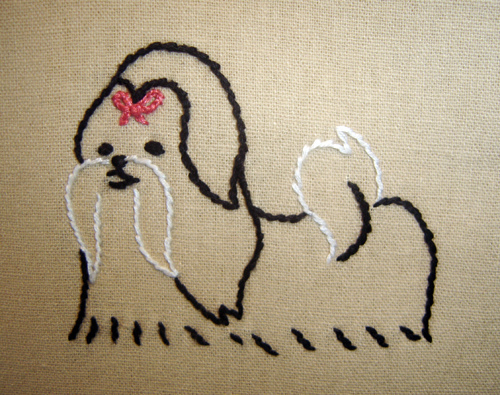 I found a great little puppy design in my much beloved book "Sublime Stitching" by Jenny Hart. 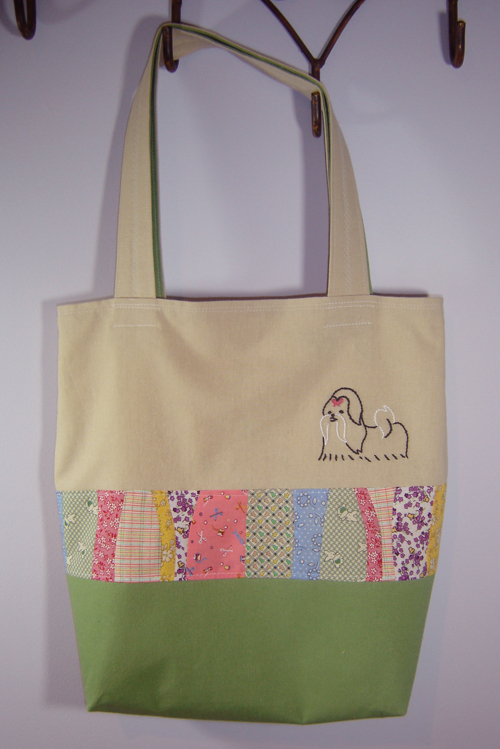 The gift is for my niece who has a cute little black and white Shih Tzu dog named "Steffie". 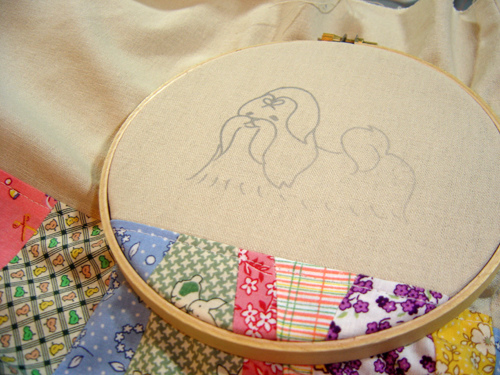 While I was busy in my studio over the weekend my wee girlies wanted to try their hand at sewing. 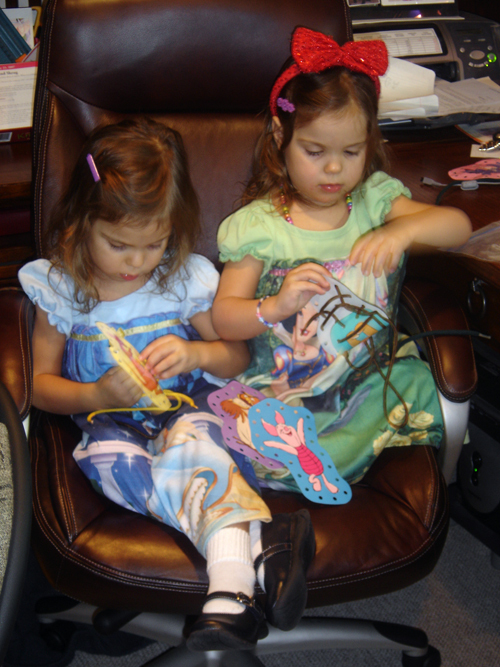 With laces, paper and a big comfy chair they kept them selves very busy and now each day they ask to "sew". And so it has begun. Sublime stitching is one of my favourite books. Just wait they'll be asking for their own sewing machines next.